Coda di Volpe Irpinia D.O.C. 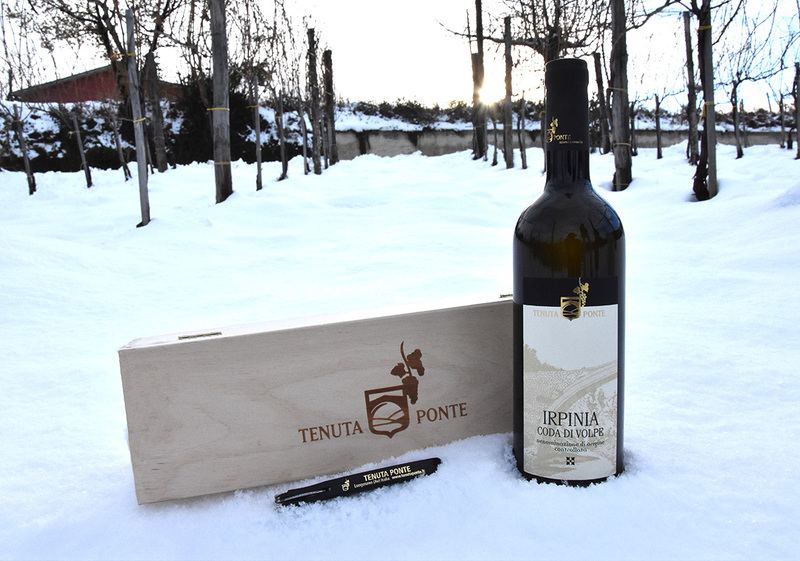 From the wine-making of the vine Coda di Volpe, that in Irpinia has found its ideal environment for terrestrial, exposure and climate, a white is born of which the winegrowers Tenuta Ponte have known how to exalt all the qualities. With a volume oscillating alcoholic around the 13%, the Irpinia Coda di Volpe is a wine with the intense perfume and the slim pale yellow color, furnished of good body, with yielded taste and persistent, that fresh and savory preserve for a long time the innate vivacity. It doesn’t require for aging, for which the bottling is made when the natural processes of fermentation of the grapes and clarification of the musts is completed, as well as the secondary fermentations and the refinement of the product. Drunk fresh to the temperature of 1o°, it is excellent on the whole base courses of fish, but it also adapts well on white meats with light sauces.